I’m still (still!) reading Dombey and Son, so I thought I would recommend another book to you that I’ve spent a lot of time thinking about lately: The Children’s Book. Loosely based on the life of E. Nesbit, the novel focuses on the family of Olive Wellwood, a writer of children’s fairy tales in late nineteenth and early twentieth century England. I like and have returned to this book many times since I read it six years ago for two main reasons: its portrayal of the intersection of art, politics, and the domestic realm – the Wellwoods are Fabians – and its successes (and failures) in telling the stories of an incredibly large cast of characters. Also, Byatt is really the best at interpreting folklore and applying it to her own fiction, and reading her characters’ grappling with the tellings and retellings of fairy tales fills me with a weird kind of joy that I’m finding difficult to put into words. 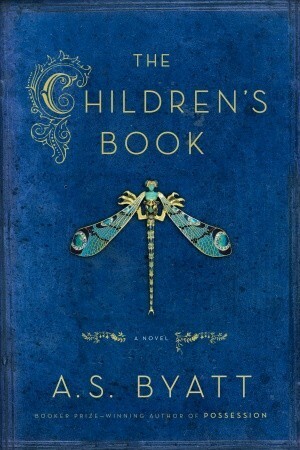 The Children’s Book isn’t considered one of Byatt’s best, but I think I learned more from it – as a writer, storyteller, and history student – than I did from her best-known and -loved novel, Possession. If you’re in the mood for the opposite of a beach read, this might be worth tackling. A little melancholy for a Friday afternoon, but I think they’re beautiful.